Home / Anime update / Attack on Titan / From the New World / IGPX / Kill la Kill / Lupin III / MS IGLOO 2 / Shin Sekai Yori / Soul Eater / Sword Art Online / The Woman Called Fujiko Mine / Victory Gundam / Anime update: Why can't I hold all this anime/who pooped the bed? Anime update: Why can't I hold all this anime/who pooped the bed? With a little less than two months until the end of 2013, I realize that there are quite a few anime series that I will likely not be able to finish until January or February. This stems primarily from the fact that I was juggling a few series at a time for a while, but have neglected to view my regular Toonami programming for nearly two months now – a result of my simply being too busy as of late and simply not wanting to wait for Bleach, Naruto, and One Piece to wrap up before the shows I actually care about start airing. I sometimes make a bad habit of claiming that I will give priority to one anime or another, and then shift to another one instead. At this point, all I can say for certain is that I will have a review posted for MS IGLOO 2: The Gravity of the Battlefront soon – hopefully next week. I’ve already viewed the first two episodes, which leaves only one more, though I can say that my feelings toward it are not as positive as my feelings toward its two MS IGLOO predecessors. As far as the longer-running, arguably more exciting anime I’ve been watching is concerned, I’ve passed the halfway marker on Soul Eater, IGPX season two, From the New World, and Victory Gundam. I’m also near the halfway point with both Sword Art Online and Lupin the Third: The Woman Called Fujiko Mine. While I would love to finish all of these series before the end of the year, I doubt that will actually come to pass. Really, it’s just a matter of which ones I decide to power through over the next month and a half. 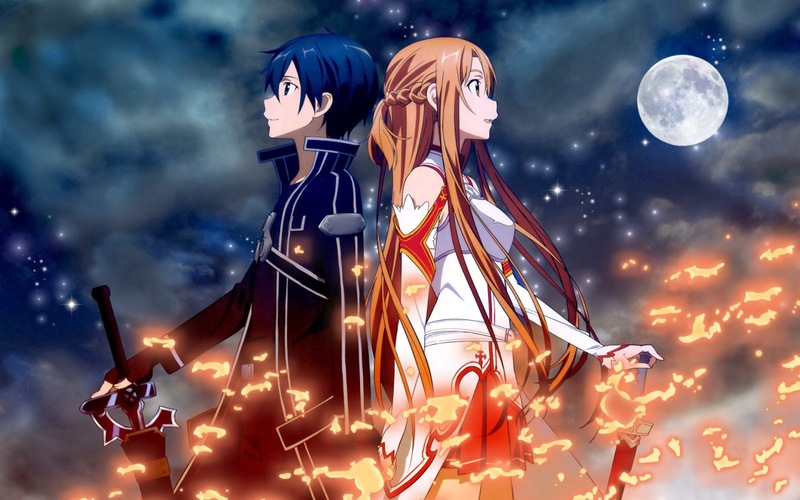 If I had to wager, I would guess Sword Art Online and From the New World will be finished first, due to the fact that SAO is relatively short and I’m a decent number of episodes into From the New World. I’d also like to finish Victory Gundam before the start of 2014, but I can’t make any promises there, considering that it is the second longest of the remaining series behind Soul Eater. I have even less of a game plan in mind with regards to what I plan to watch after the start of the new year. There isn’t much in the way of new anime that I’m hearing about that has me particularly excited, and after the psychotic behavior the Attack on Titan die-hards exhibited this year, you can be certain that any new ‘big name’ or 'new and exciting' recommendations I get, I will take to with the highest degree of skepticism. I really wanted to enjoy Kill la Kill, and was hoping it would share much of the quirky charms displayed by Gurren Lagann and FLCL, but Studio Trigger apparently thought that having a strong, individualistic female protagonist wasn’t worth doing if they couldn’t hyper-sexualize her for no good reason. Go figure. To top that off, Kill la Kill wants to be as much a sports anime as anything else within its incredibly confused identity, and it led me to be the most disappointed I’ve been with any of this year’s ‘big-name’ releases. Mind you, I think Attack on Titan is flat-out terrible due to its highly cliché nature, lack of character or plot development, and blatant plagiarism of Zeta Gundam’s early episodes, but I never went into Attack on Titan with particularly high expectations. There’s a big difference from going into an anime and thinking ‘eh, this doesn’t look too special’ and walking away from it thinking ‘wow, that was terrible’, and going into one thinking ‘this looks like it could be really great’ and then walking away thinking ‘man, that was a massive disappointment’. I honestly hope that we have at least a few solid releases in 2014, because 2013 was frankly a terrible, lopsided year for anime.